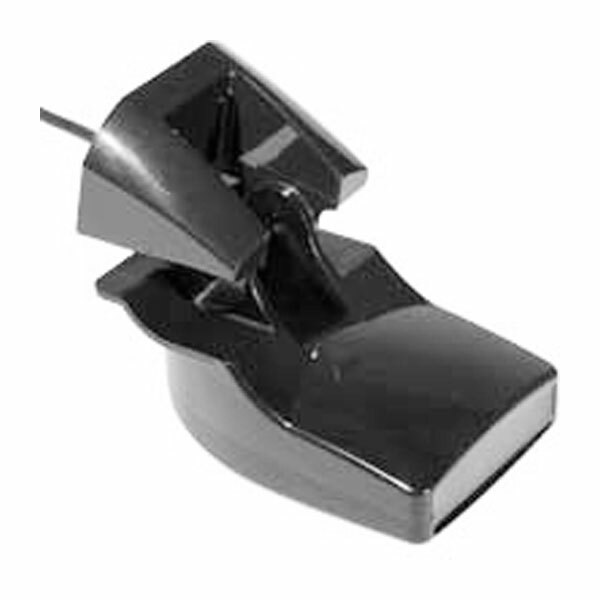 The 500 W 6-pin transducer has a maximum depth of 1,500 ft; an operating frequency of 50 to 200 kHz; a beamwidth of 40 to 10 degrees; and mounts on a 0 to 70 degree transom. When using with an 8-pin Garmin sounder, transducer adapter cable part number 010-11613-00 is required. Transducer part number 010-10272-10 is preferred.